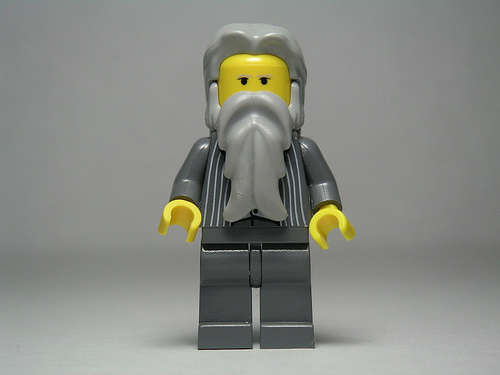 Lego Marx (photo by Dunechaser). One of the abiding insights made by Marx in Capital is that in the colonies of capitalist nation-states the illusions of the capitalist law of supply and demand of labor are shattered. In the home country, the great beauty of capitalist production consists in being able to reproduce the wage worker by periodically setting him free, i.e., firing him, and producing a surplus population that stands in relative exteriority to capitalist production as the precondition for the commodification of labor power. Periodically treating labor power as a disposable commodity is thus the way capitalist production can ensure that its most indispensable commodity–labor power–is always already there when capitalist production experiences so-called labor shortages during times of industrial expansion. It is this reproductive mechanism that allows for the smug deceitfulness of the political economist, not to mention the Japanese colonial policy maker, to think, and to formalize into naturalized axioms of economic movement, that owners of labor power–who are in fact compelled to enter into a relation of dependence with the wage form–can enter into a free contract between sellers and buyers, between owners of the commodity labor power, on one side, and owners of capital, on the other. In the colonies, however, “this beautiful illusion is torn aside” because the conditions for the appearance of owners of labor power on the stage of the capitalist market do not originally exist there. The dependence on wages must therefore be “created by artificial means,” and until that happens, the law of supply and demand of labor is torn aside. In this way, this artificial and historical process in the colonies represents that which originally took place in the home country, but which has long since been repressed and disavowed there. The political and economic unconsciousness of the home country dwells in the artificial processes in the colonies (Kawashima, 25). Ken C. Kawashima. The Proletarian Gamble: Korean Workers in Interwar Japan. Durham, USA: Duke University Press, 2009. Lutz, John. “A Marxian Theory of Subject: Commodity Fetishism, Autonomy, and Psychological Deprivation.” Rethinking Marxism 21, no. 3 (July 2009): 420-34.
prevailing Marxist tradition portrays Marx‘s value theory as a continuation and completion of the classical labor theory of value, specifically in the version formulated by David Ricardo [1772-1823]…. (All though, and I forget where I heard this, I believe it was during one of David Harvey‘s lectures, that Marx wrote Capital in reverse; starting with volume 3, then 2, then 1, and then editing it by starting with volume 1. Which is why I believe Marx’s theory is more developed in volume 1 then in volume 3 and if he had lived to finish his series [he was notorious for not completing his works] he might have developed his theory of value more in relation to volumes 1 and 3. Milios, John. “Rethinking Marx’s Value-Form Analysis from an Althusserian Perspective.” Rethinking Marxism 21, no. 2 (April, 2009): 260-74. Constant capital is capital that is constant throughout the labor process; all of the previous labor incorporated into the parts of production (money spent on gears and metal which a previous manufacturer had to spend money on in wages and other constant capital, etc.). Variable capital is the value inputted into the labor process by the worker, or the value of the worker being interjected into the products she or he creates, makes, gathers, etc (value created by humans). Surplus value is simply value created by the worker that gives the capitalist his or her profit. Basically, Marx is showing us that profit comes from the workers and not from commodities or machines or capitalists. Which is why capitalists get upset about strikes, as the workers are withholding their surplus value and surplus labor from the capitalist, causing a fall in profit during the period of the strike. Marx, Karl. Capital: A Critique of Political Economy: Volume 1. Translated by Ben Fowkes. New York: Penguin Classics, 1990. Cambridge Companion Series of Philosophy The entire Cambridge Companion series with entire book and chapter extracts. Internet Encyclopedia of Philosophy An encyclopedia edited & written by academics. Marxists Internat Archieve A huge archive on almost every Marxist. Oxford Handbooks on Philosophy A full range of short handbooks on philosophy from Oxford University. Project Gutenberg A non-profit website with thousands of books to read online. Routledge Encyclopedia of Philosophy Routledge’s philosophy encyclopedia online. Stanford Encyclopedia of Philosophy The free dictionary on philosophy by Stanford University. My main blog My main blog, The Mustard Seed. A kinda poststructural-Marxist-Leninist mishmash. My GoodReads Profile Books I’m reading or have read. My Google Books Profile Books I’ve read, am reading, or wanna read.